I am shocked that the proposed US Senate healthcare bill includes a new 5% tax on cosmetic surgery, including hair transplants. This measure, which will cost cosmetic surgery patients $6 billion, is a lose-lose proposal for everyone in the United States, men and women. The $6 billion will be used to fund part of the $849 healthcare bill. However, by introducing this new tax, the government may inadvertently cause damage to the economy, as fewer people may be inclined to seek cosmetic procedures. For many people, hair loss has negative social and psychological side-effects. One study showed that male pattern balding, the most prevalent type of hair loss, ranked as #26 on the Stressful Life Events List. 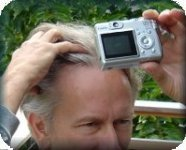 More than half of the research study participants felt that male pattern balding would have a negative impact on psychological well being, and a third or more felt it would negatively impact relationships. Social signals are given by hair, such as personal identity and status. Extensive research shows that our self-image has an enormous impact on our happiness and achievements. Treatments for most types of hair loss are usually ineffective, or must be used continuously to sustain their effects. Hair transplantation is different. It is the only permanent treatment for most types of hair loss. When I perform this procedure for my patients, I remove a strip of healthy scalp and separate the follicular units. Then, I insert the follicular units into the balding parts of the scalp. This is called a micro-mini graft/follicular unit hair restoration surgery. I use special techniques to create a hairline that is natural-looking and blended well with the remaining hair. For 20 years, I have treated more than 11,000 hair transplant cases. By specializing in hair transplants, running a busy clinic, and avoiding salesmen and multiple doctors with less experience, I am able to offer affordable treatments. While hair transplants typically cost $3-$5 per follicular unit, I charge as little as $3 per graft and offer 12 month interest-free financing. I want to make sure that as many people as possible who want to improve their appearance through hair transplantation have access. This proposed new tax will increase my patients’ costs and discourage them from seeking a hair transplant. Therefore, I urge the US Senate to strike the “bo-tax” from the proposed healthcare bill. Find another way to pay for healthcare without making hair transplants and other cosmetic surgeries more difficult to get. This entry was posted in Baldness, General, Hair Health, Hair Loss, Hair Problems, Hair Transplant, Hair Transplants, Health - General on December 1, 2009 by Larry Shapiro.